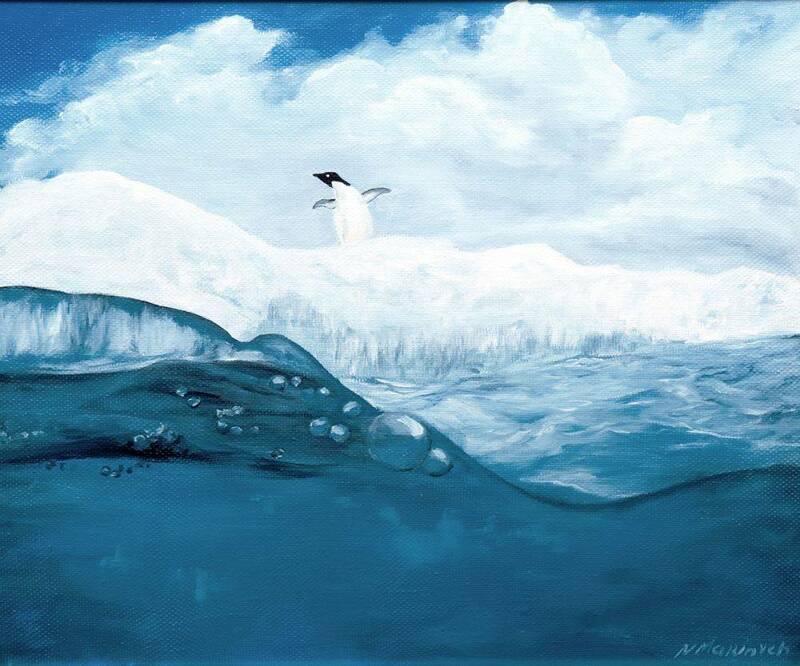 Find fresh inspiration in a stunning nature scene when you order this high-end canvas print of "Lonely Penguin" by Natalya Marinych. 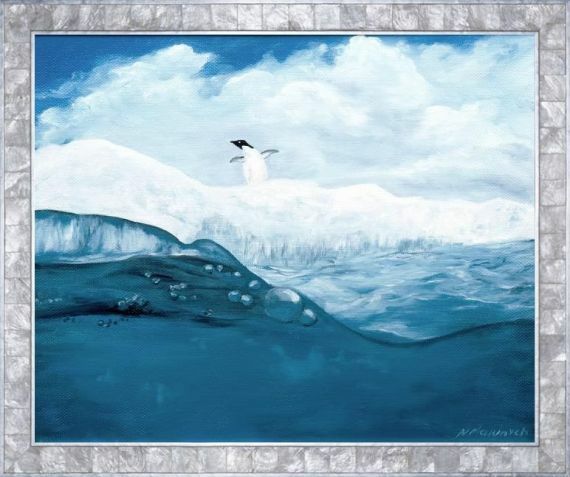 This striking scene features a single penguin perched upon the ice. 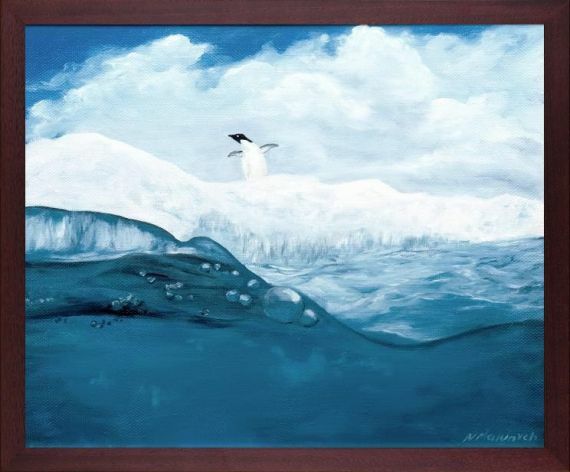 Though nature landscapes have long been an artistic tradition, Marinych has found an exciting new perspective by painting this scene from a partial underwater view. This lends a captivating quality to the piece, almost as though the viewer has made an important discovery. Despite using a limited color palette of mostly blues and whites, Marinych also manages to create an incredibly complex scene with impressive depth and detail. 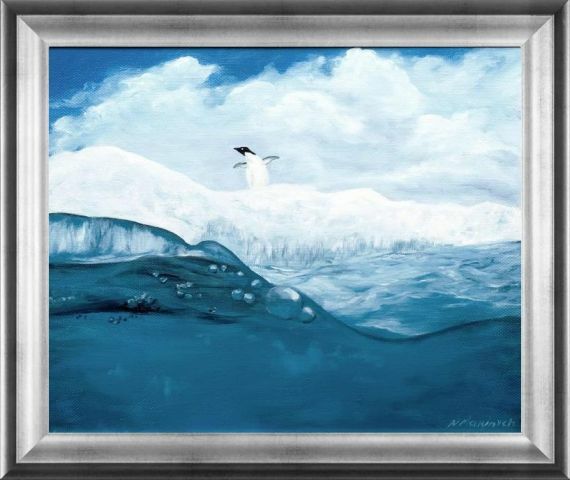 When you choose this canvas print of "Lonely Penguin" by Natalya Marinych, you'll get a piece from our highly regarded Artist Become collection at overstockArt. This work was handpicked by our staff due to its brilliant perspective and masterful skills at work. 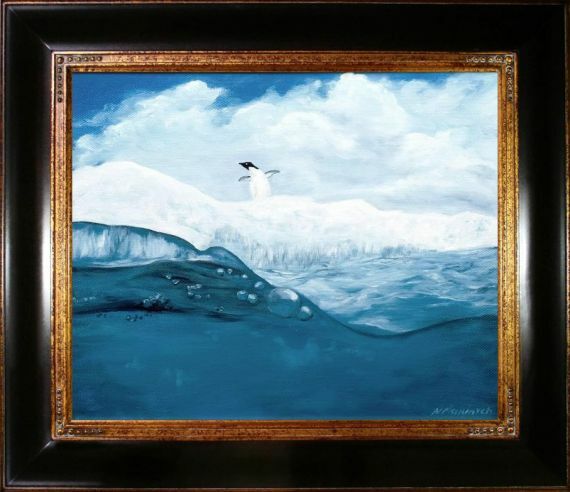 It's an affordable piece of artwork to add to your collection while also supporting the work of up-and-coming artists. 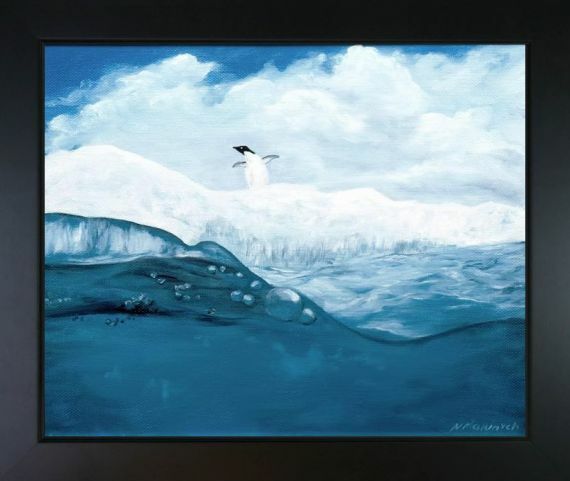 Color Palette for Lonely Penguin is empty.